Oh mary mother of god what a kerfuffle. The above from the O2 iPhone forum, says it all. Not to mention the past 24 hrs I’ve been without internet at all, thank you Virgin, and spent this morning traipsing around Edinburgh trying to find free wifi so I could work. Than you Centortre for uber great coffee, great service and an all around pleasant environment. 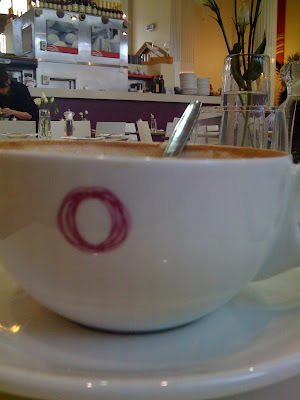 As I may have mentioned before, Centotre is where Mike Coulter of Digital Agency, hosts his weekly coffee mornings – they’re brilliant and I recommend everyone attend at least once (Friday’s at 8am). Even I get my arse out of bed for them! Well, at least my iphone takes pics and e-mails them…it’s just not a phone. I guess that’s okay?! It’s still a pain.